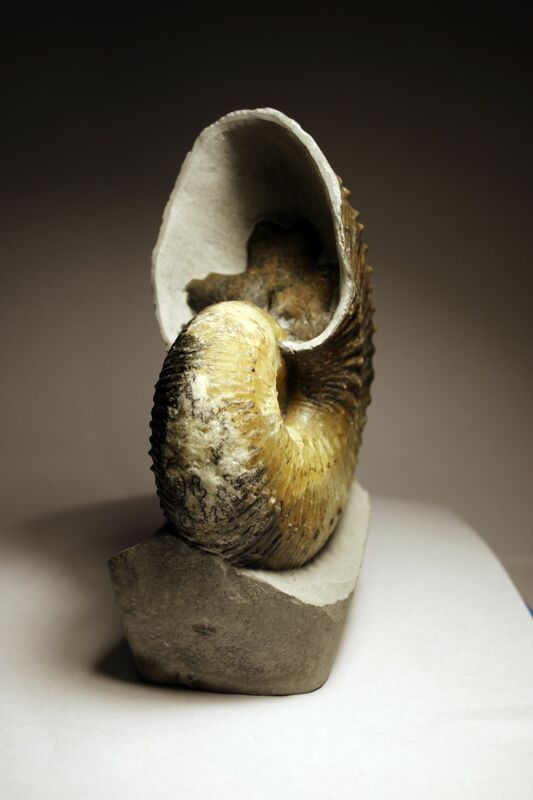 A 3D render of the ammonite can be seen here. 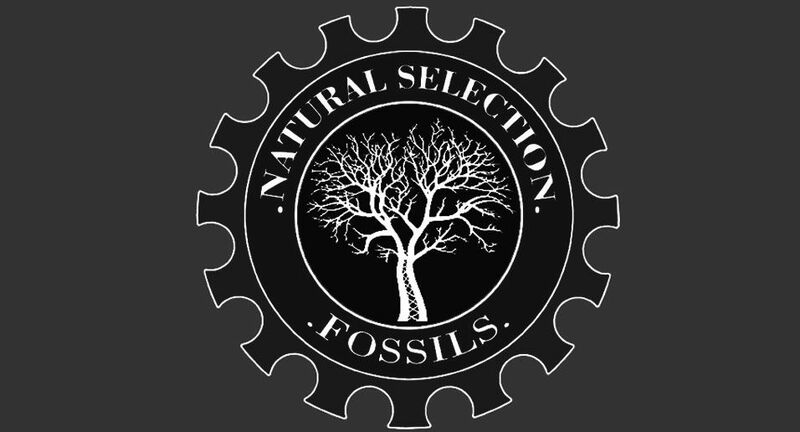 Please note this render is only an approximation of the details of the ammonite. The photos are a more accurate representation. A show piece Becheiceras cf. 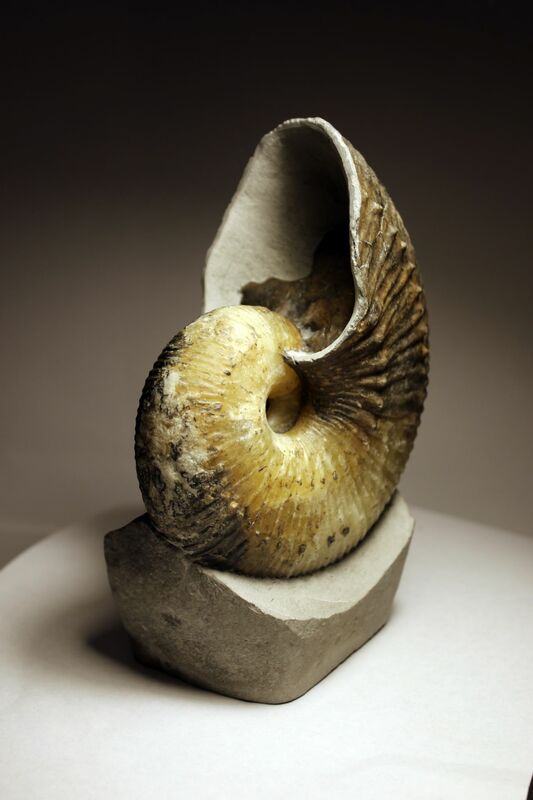 gallicum Ammonite expertly prepared by Lizzie Hingley. 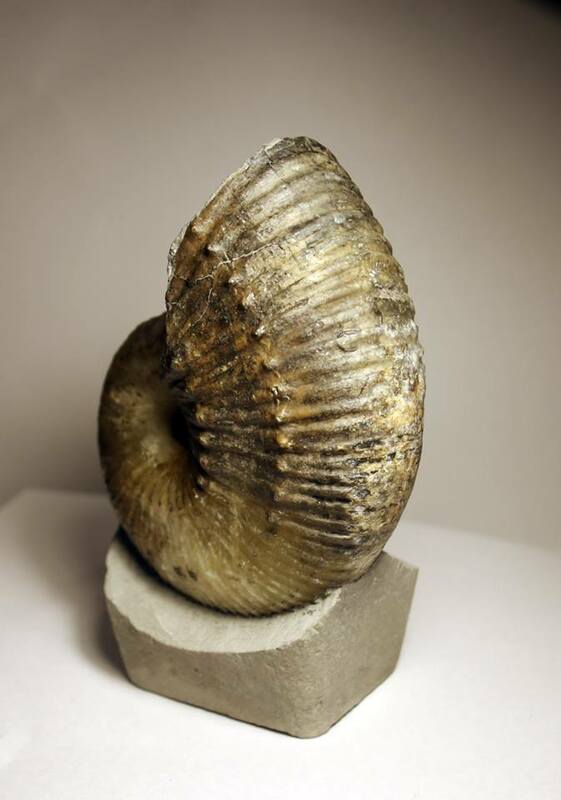 It is unusual to see a good sized ‘green ammonite’ prepared on both sides due the large amount of work removing the rock. 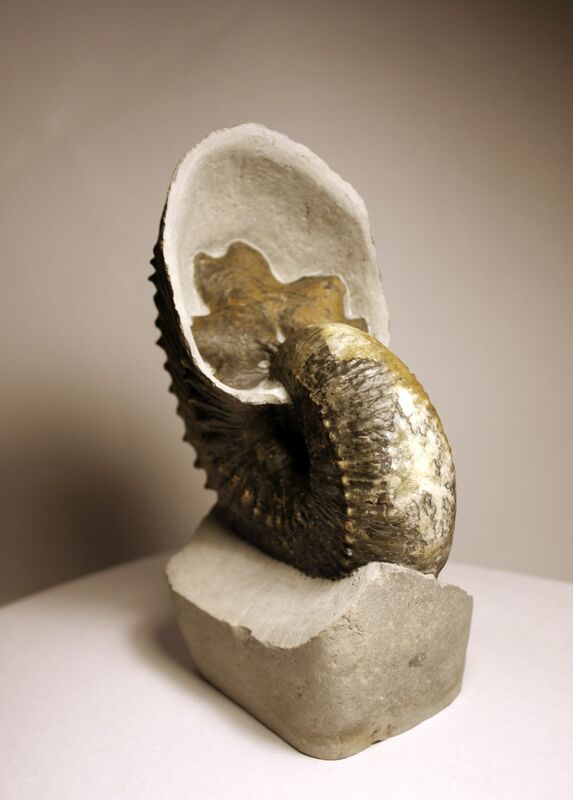 In addition to being prepared on both sides the ammonite has had it’s mouth border hollowed out down to the first chamber / suture line. 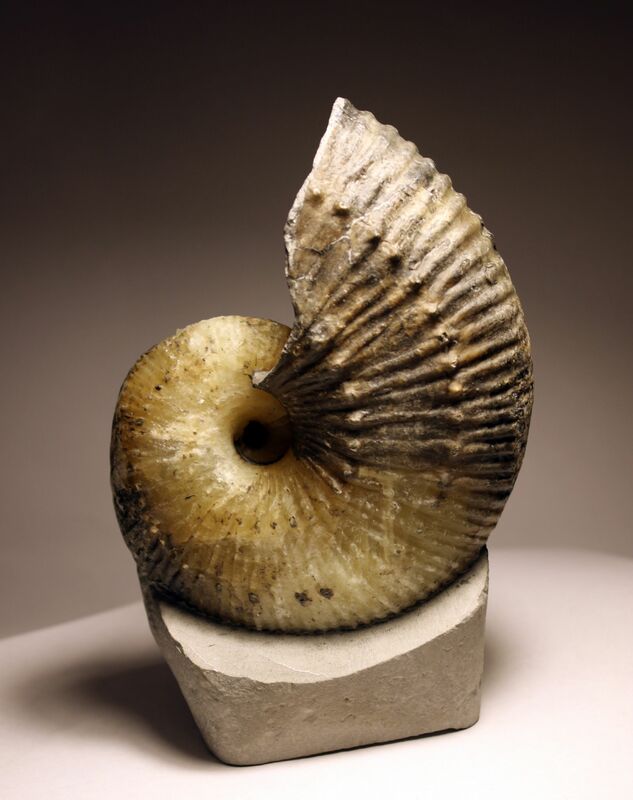 This ammonite measures Approx 15.5 cm at its widest point.